All good origin stories begin with a serpent. Ours is no different. 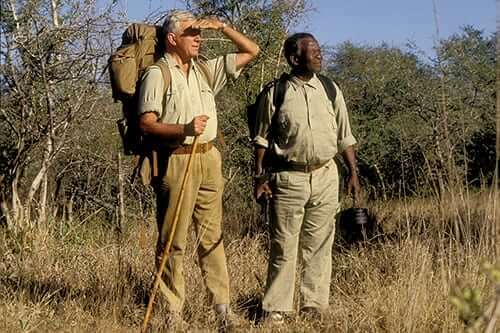 In 1960s Apartheid South Africa, when white and black men were prohibited by law from being friends, Ian Player and Magqubu nTomebela headed into the wilderness on a small scouting expedition to help establish a protected area for the Southern White Rhino. This was the birth of the WILD Foundation. It was the month when grass covers the trails. The sun was high and bright, and the air around the two men blazed with the heat of a furnace. 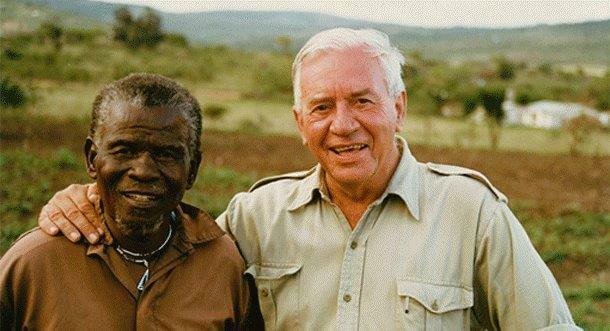 Ian, being a white South African game ranger, still thought of Magqubu as his subordinate. And so, when the older black man, demanded that Ian pause in their trek to honor an old Zulu shrine, Ian balked. In his world order, he owed nothing to his guide. For a white South African, the idea of taking part in what was considered to be tribal superstitions was simply not done. But the old man was stubborn and would not budge. Minutes passed in that miserable heat, the ever-present buzz of flies serving only to define the silence between the two men. It was Ian who finally broke. 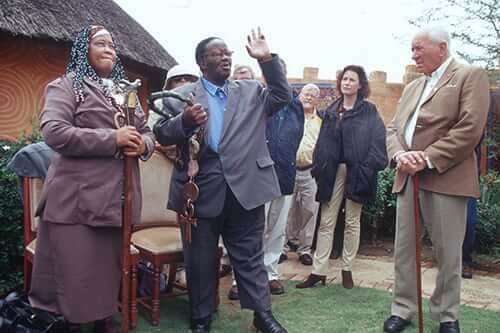 With a huff, he paid reluctant tribute at the Zulu shrine. Magqubu nodded. And the two men went on their way, deeper into the African wilds. It was then that the Black Mamba rose with a rushing whir out of the tall grass. 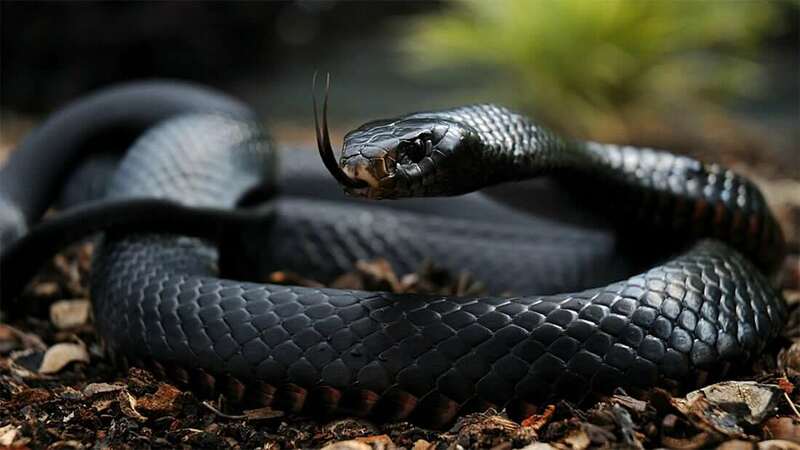 The Black Mamba is a snake of legendary ferocity, rumored to have waged lethal retribution on entire villages when disturbed. It now confronted the two men at eye level no more distant than an arm’s length. If it had chosen to strike, both Ian and Magqubu would have died within the hour. It is unlikely they would have been able to withstand its venom, one of the most poisonous in the world, on the trek back to civilization. But it didn’t strike. After a long moment it sank back to the dry earth and slithered slowly away until it vanished between the blades of dry grass. It was Magqubu who spoke first. The old man continued, giving Ian the lecture of his life. He told Ian that history is not a mere succession of events or people. It is the land. It is the trees. It is the birds and the animals and the rivers and the insects. They all form a part of history and you acknowledge them all the time by showing respect. Magqubu spoke long on the subject of respect, saying that with it came understanding. Only then can we know that we are reflected in the landscape, and the landscape is reflected inside of us. From that day forward, Ian acknowledged Magqubu as his mentor. Together, the two men formed a partnership that would last until Magqubu’s death, decades later. Together, they would save the Southern White Rhino (the first large mammal to be delisted from the endangered species list) from the brink of extinction. 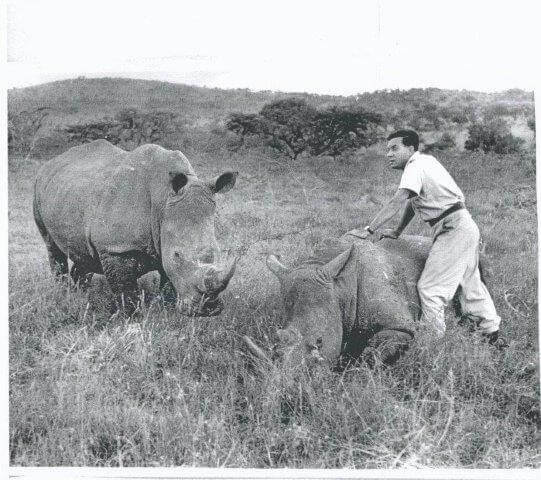 After this accomplishment, it was Magqubu who realized that taking a species-by-species approach to the extinction crisis would win many battles, but ultimately lose the war. 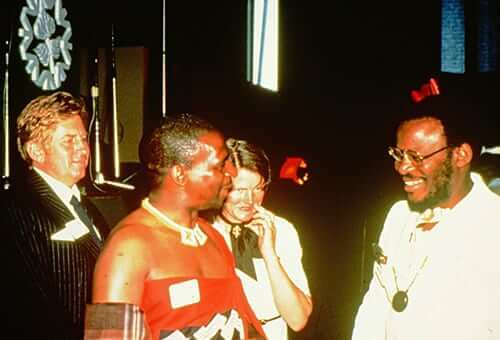 For this reason, he proposed assembling a great, global indaba (a Zulu word for a decision-making meeting among the tribes) to build respect for nature and promote greater coordination among leaders desiring to protect Earth’s wild places. Magqubu’s indaba became World Wilderness Congress. His idea was the birth of the WILD Foundation. 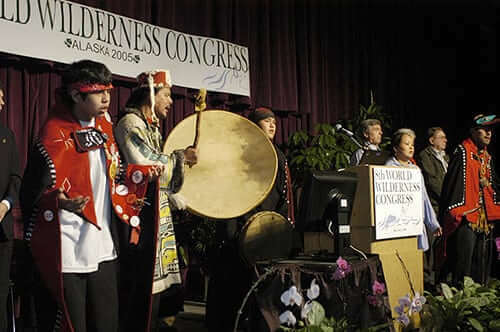 Since then, WILD has organized 10 Congresses; initiated and/or incubated numerous collaborative conservation projects that evolved into major independent, global organizations; created international policy for wilderness; and operated dozens of practical, field-based projects for wilderness, wildlife, and people. Through it all, the Congress remains the flagship and the next one – the 11th World Wilderness Congress (WILD11) – convenes in China in late 2019. Below is a timeline of WILD’s many accomplishments throughout the years, sparked by the friendship of two men and their undying respect for the natural world. A global movement for wilderness begins. 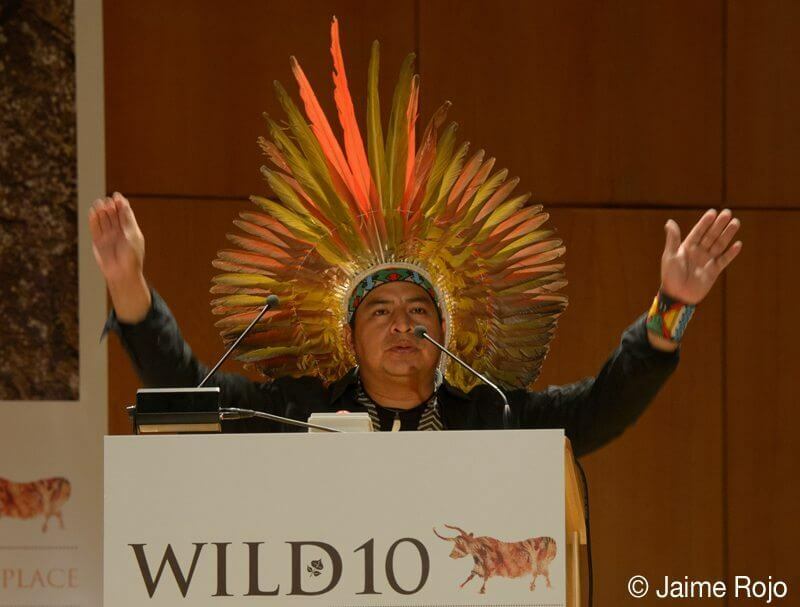 WILD works to build respect for nature and spark new leadership and policies for the protection of wild nature. 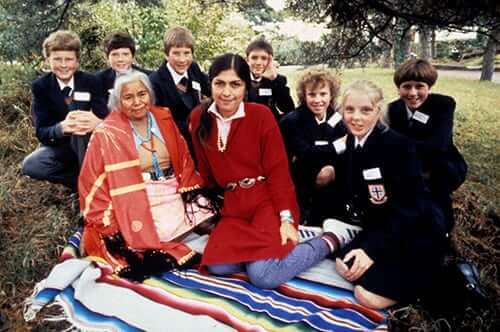 1st World Wilderness Congress, South Africa: Ignoring the racially unjust “apartheid” laws of South Africa, the 1st WWC’s 3000 delegates were of all races, and many countries, and for the first time included bankers and corporate leaders into the conservation decision-making. The largest, most comprehensive exhibition of conservation artwork ever assembled and promoted as a critical element in achieving conservation solutions. 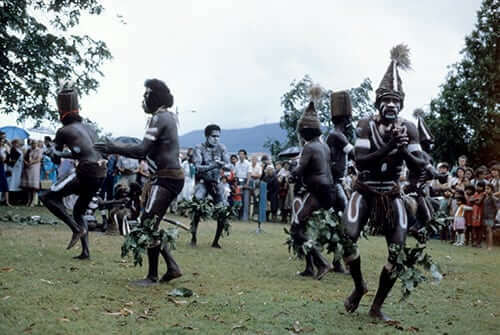 2nd World Wilderness Congress, Australia: Virgin rainforest in Queensland was protected; The first marine wilderness zone was established on the Great Barrier Reef. The process began to create wilderness as an official global protected area category. 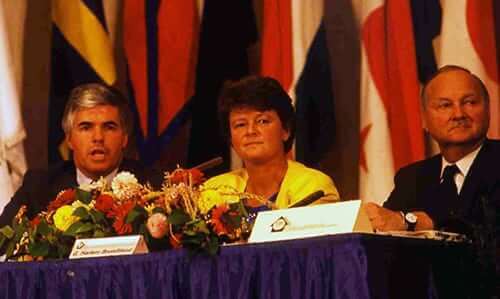 3rd World Wilderness Congress, Scotland: The UK ratified the World Heritage Convention; Continued progress towards creating the (global) wilderness protected area category, eventually ratified by the International Union for the Conservation of Nature (IUCN) in 1992. 4th World Wilderness Congress, Colorado, United States: Initiated the process that established the Global Environmental Facility of the World Bank (which has since provided over USD 20 billion for global conservation solutions). Produced the first global inventory of wilderness areas; the first ever scientific symposium on the concept of marine wilderness. 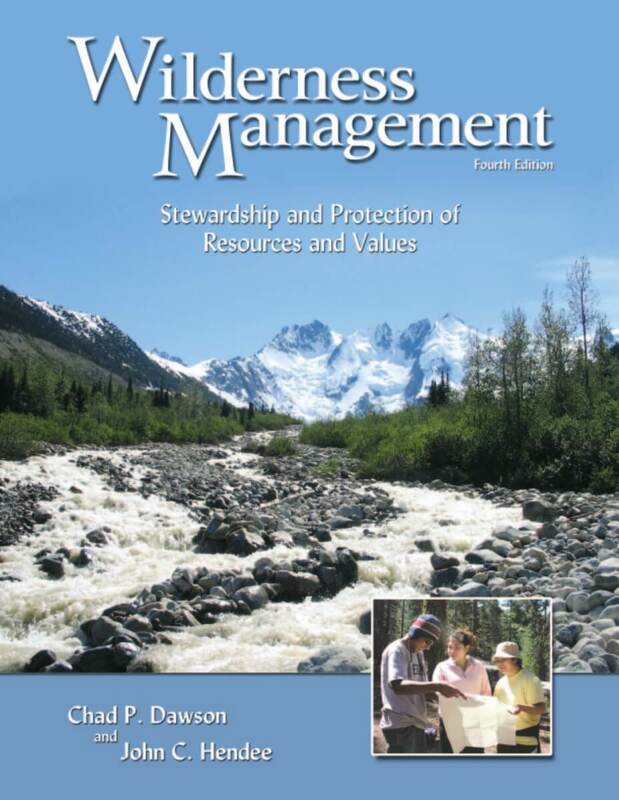 Published Wilderness Management, the standard reference for wilderness stewards and policymakers globally, that is now in the 4th edition. 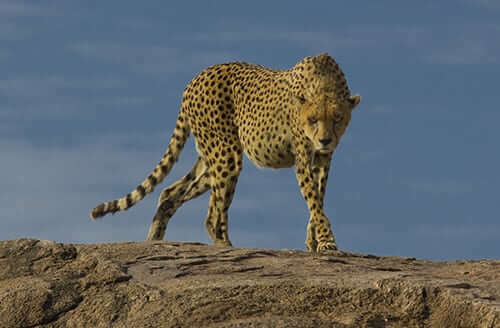 Co-established with Laurie Marker, and incubated/managed for ten years, the Cheetah Conservation Fund (globally and based in Namibia) which today is one of the most recognized and successful wildlife projects in the world. 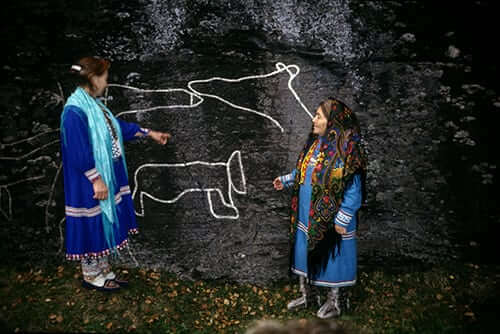 5th World Wilderness Congress, Norway: Developed substantive plans for integration of northern indigenous communities in polar conservation. Produced first inventory of wild rivers of the Northern hemisphere. 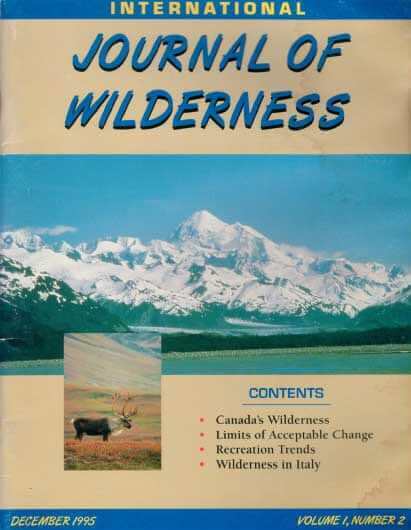 Launched the International Journal of Wilderness, which has since become the world’s longest running and most extensive , freely available archive on international wilderness issues and solutions. 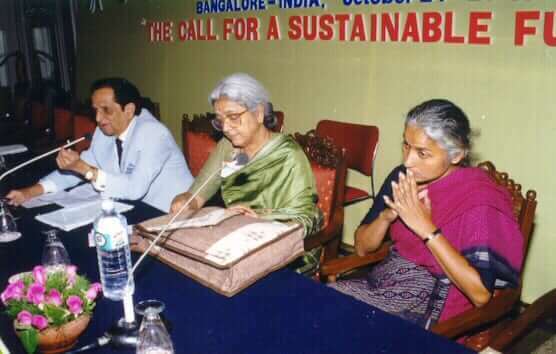 6th World Wilderness Congress, India: Introduced the wilderness concept to Asia, where no wilderness had yet been declared; introduced the first concept for marine wilderness on the “commons” of the high seas. 7th World Wilderness Congress, South Africa: secured commitments of USD 2 million for specific African wildland areas, that prompted expansion of the Baviaanskloof Wilderness (South Africa) by 300,000 hectares; numerous new protected area initiatives announced in Namibia (entire coastline to be protected), commitment to Congo Basin protection by US Government, and more. After several years of incubation at WILD, the International Conservation Caucus is launched in the US House of Representatives, to be followed a few years later in the Senate. Now the International Conservation Caucus Foundation is the largest non-partisan caucus on Capitol Hill, one of the most powerful non-partisan forces for wildlife and wild places in Washington DC, and has initiated associated caucuses working within in the national assemblies of seven other nations. 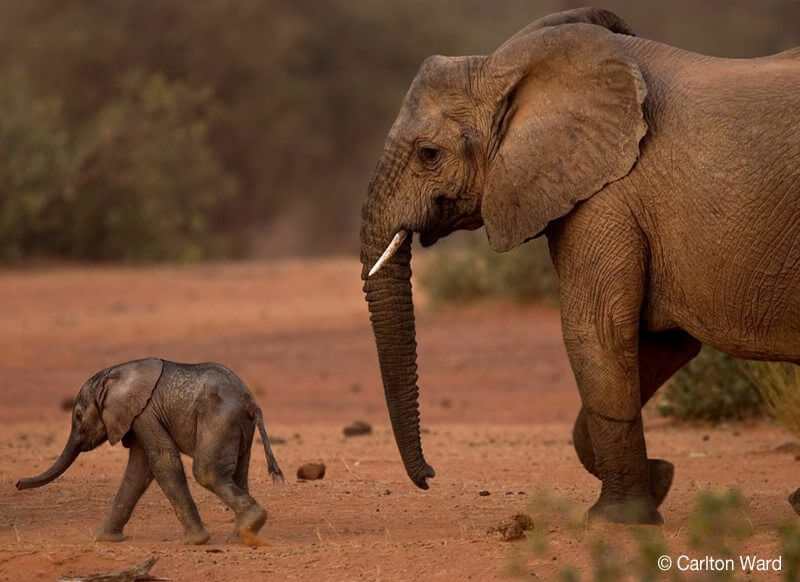 Launched the Mali Elephant Project, a community-based defense of one of just two remaining desert elephant herds. Initiated (and currently still chairs) the Wilderness Specialist Group within the World Commission on Protected Areas of the International Union for the Conservation of Nature. 8th World Wilderness Congress, Alaska, United States: Assembled the world’s top nature photographers to create the International League of Conservation Photographers (iLCP); initiated with native partners the first ever (Indigenous-led) Native Lands and Wilderness Council, which subsequently created the only case studies in the world for indigenous-declared and managed wilderness areas; CEMEX announced intention to create first corporate-owned wilderness area. 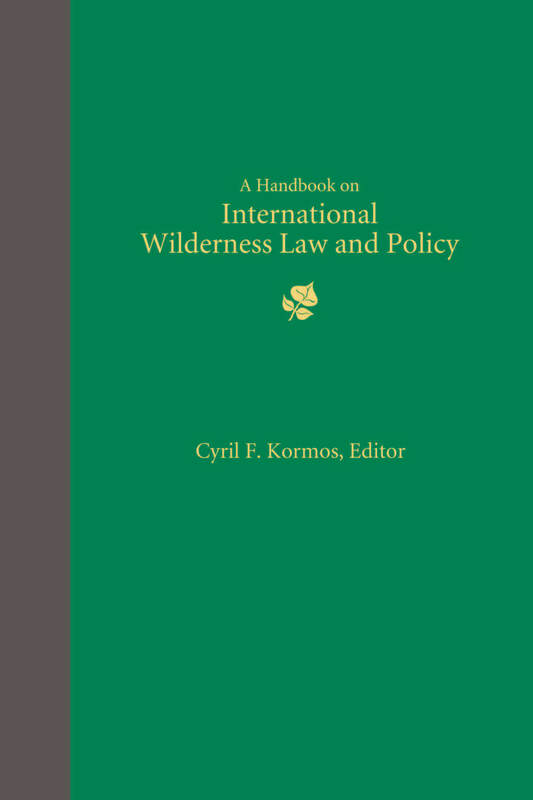 Published the first ever International Handbook for Wilderness Law and Policy, still the standard reference. 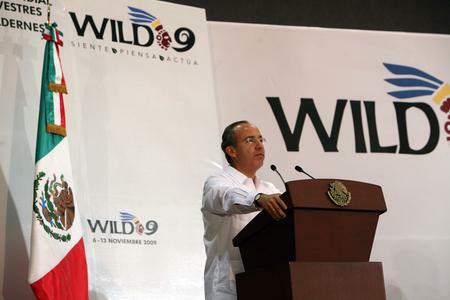 9th World Wilderness Congress (WILD9), Mexico: CEMEX revealed the legal declaration and management plan for the El Carmen Wilderness Area, the first private wilderness area and the first corporate owned in Latin America; Initiated the process whereby leaders of all North American land management agencies signed formal intention to for the first continental scale, intergovernmental wilderness cooperation. Launched Nature Needs Half, an international coalition of scientists, conservationists, nonprofits, and public officials defending nature at the scale she needs to continue to function for the benefit of all life. 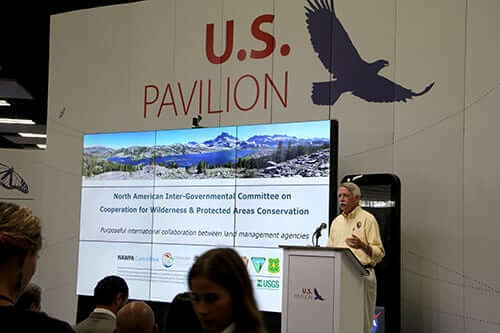 Following from work done at WILD9, WILD was asked by the North American land management agencies to facilitate NAWPA, the first continental-scale agreement for wilderness and protected areas. 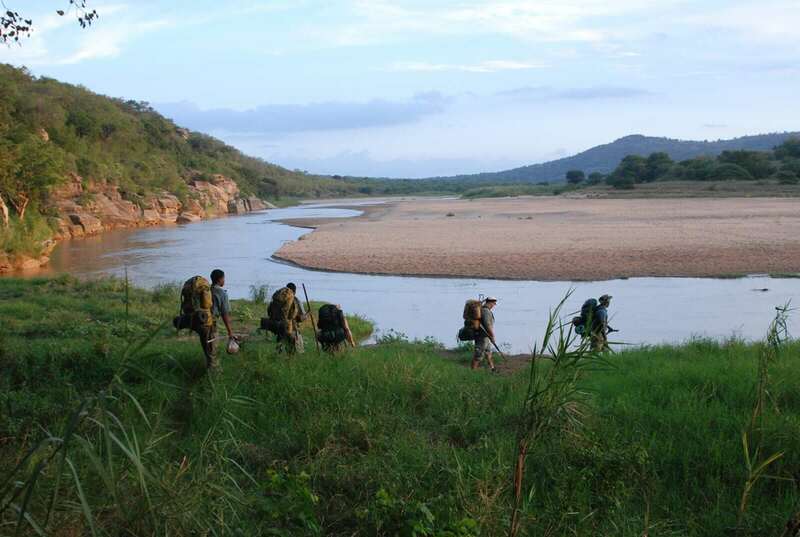 WILD initiated what became the first transfrontier conservation area between Mexico and the United States (3.5 million acres). 10th World Wilderness Congress (WILD10), Spain: Produced Vision for a Wilder Europe, a vision and policy document for the European Union on the state of wilderness in 50 years, as the continent “rewilded” itself. European Wilderness Society was established. Launched CoalitionWILD, a program which connects and equips the world’s young change-makers to tackle our planet’s greatest conservation challenges. Co-founded Wilderness Foundation Global, a global consortium based in South Africa. Produced the first International Wilderness Management Guidelines for the International Union of the Conservation of Nature. Proposed and successfully campaigned for a first-of-its-kind IUCN recommendation against industrial extraction in protected areas. 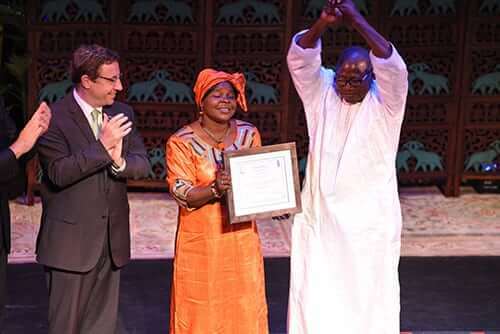 The Mali Elephant Project wins the prestigious United Nations Equator Award. Helped initiate the first China Inventory of Wilderness with Professor Yang Rui and Cao Yue of Tsinghua University, Beijing.